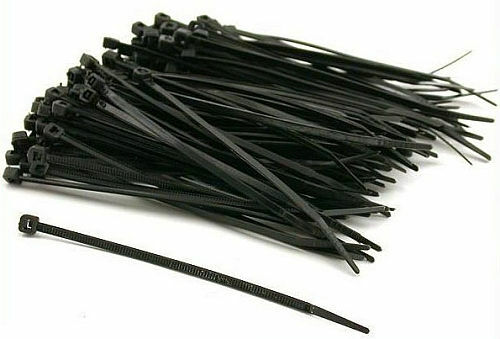 It's a cable-tie black and white bonanza, at under a penny-and-a-half apiece. 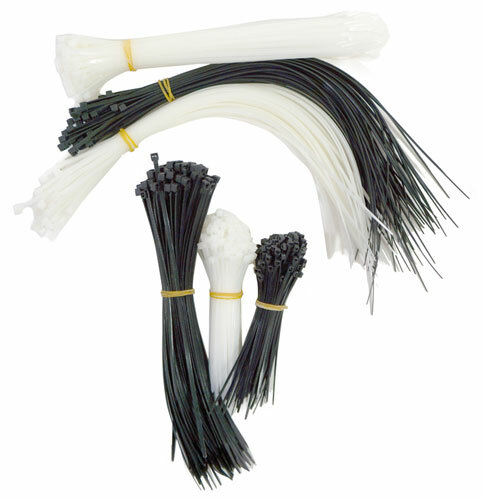 You'll get a plastic jar holding (600) cable (zip) ties: (150) in each black and white at 4" with 18-lb tensile strength; (100) each at 8" with a 35-lb rating; and (50) each at 11" with a 35-lb rating. Five guys playing the electric brobdingnag? No, just gigantic red rubber bands, made to hold stuff on pallets together. 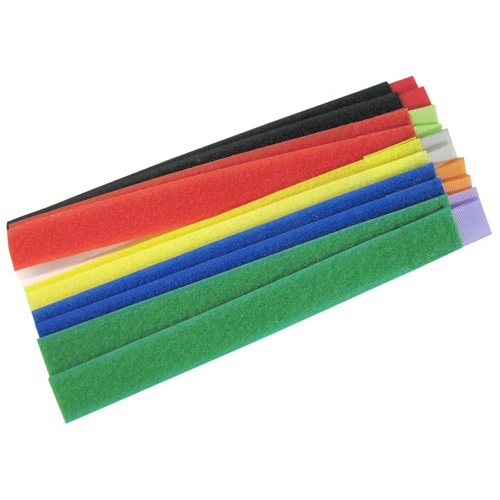 Striated along their lengths, they measure 48" long x 3/4" wide x 3/32" thick and will stretch to a 7- or 8-foot circle, or more, depending on your nerve. In the wine? No, on the narrow strapping. 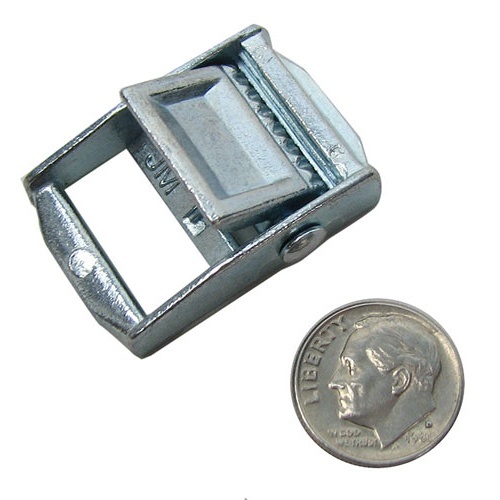 These zinc-plated, spring-loaded cam buckles are 3/4” ID and measure 1-3/8" long x 3/8" thick with a hefty 450-lb capacity, assuming you use the right sort of strap. Just clamp it. 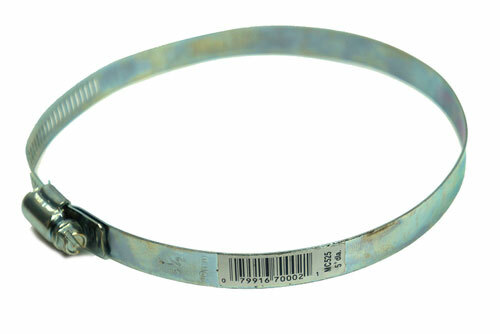 These extra large steel hose clamps measure 1/2” wide and open to a max 5-1/4” dia. They tighten down to approx 4-1/4” dia via a worm drive. This 9/16"dia nylon tow rope is listed for 2,200 pounds tensile strength, which makes us a tad anxious about full-size cars, but there are plenty of other towables out there. 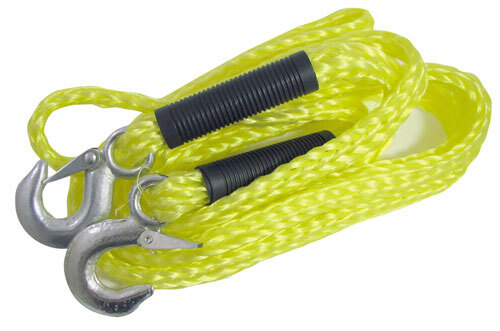 Measures 14 feet long in bright yellow nylon with a snap-lock hook at each end. If you crossed a coat hanger, suitcase grip and a (reusable) zip tie, you'd have created this staggeringly useful and devilishly clever new product. Hook versions have a 1-3/16" ID J-hook on a swivel that attaches to 14" long or 18-1/2" long re-usable zip straps, both with a 22-lb max load. 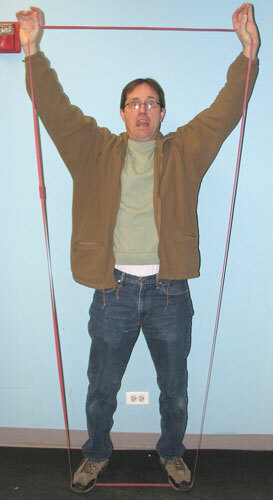 Hooks have holes so they can be wired shut. 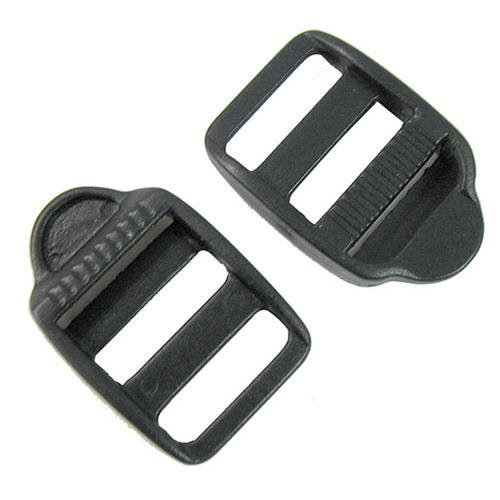 The handle-grip versions have a 4-5/8" x 1-5/8" grip that opens and snaps closed, attached by a swivel to 14" and 18-1/2" re-usable zip straps, both with 44-lb max loads. 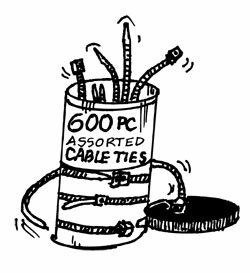 Handy for storing, carrying or installation. Small straps lock to a max of approx 4" dia; large straps approx 6" dia. 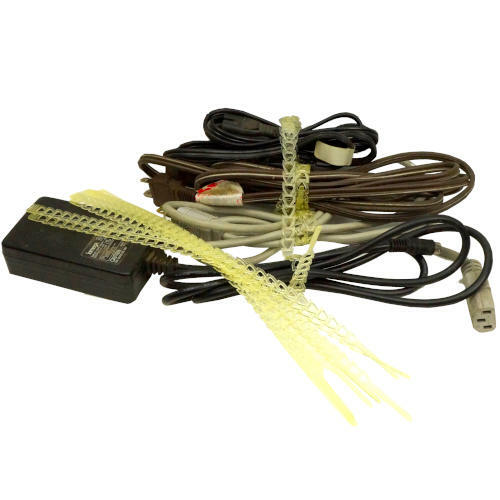 From Gardner Bender®, these flexible re-useable straps are a foot long x 3/8” wide with triangular links and can be, with a little tugging, unzipped for re-use. 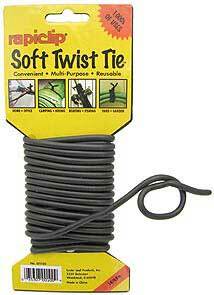 Rated for 20-lb tensile strength and can be daisy-chained for big bundles. Call them the Rezippers. You'll get twelve per pack.